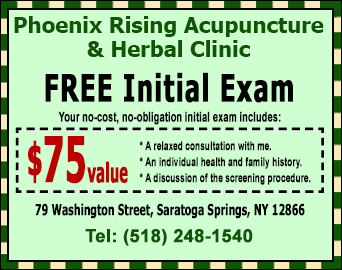 Danielle DeVivo is a Licensed & Board Certified Acupuncturist and the founder of Phoenix Rising Acupuncture in Saratoga Springs, NY. Hello, my name is Danielle DeVivo. 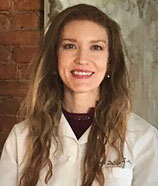 I’m a Saratoga Springs acupuncturist providing gentle and personalized acupuncture treatments for pain and many other ailments to the residents of Saratoga Springs, Ballston Spa and Glens Falls, NY. I’ve prepared this information so you can learn how to benefit from a natural and effective form of health care that has been around for more than 3,000 years. 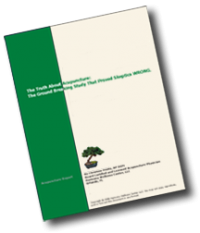 Acupuncture; The Ground Breaking Study That Proved Skeptics WRONG”. I want to thank you for visiting my website, and in return I would like to offer you a coupon for a FREE Initial Exam ($75 value.) It is good for one initial exam and limited to one coupon per person. If ever you, your friends, relatives or colleagues are in need of my services, please print out the coupon and bring it when visiting us. Click on the coupon to get it now and save $85. If you have any questions send me an e-mail or call me at 518-248-1540. I’ll be happy to answer your questions and discuss your concerns.